Every day, there are over 100 babies born with a heart defect in the U.S. That’s thousands of hearts each year. Add those to the 100’s and 100’s and 100’s who are already living with heart defects. That’s millions of hearts. But let’s bring into focus just one heart. That one baby who, by all odds, was that 1 in 110. That one born with the heart defect. It could be your daughter, your son, your niece or your nephew. It could be your Mom, your brother, your neighbor, your classmate, or even you. Who do you know that has a story about heart defects? The Pediatric Congenital Heart Association is committed to bringing these stories together, amplifying them to make a difference. Uniting a community is a big task, however. We can’t do it without your help. PCHA is primarily funded by individual donors, like you. In order to be successful, we need to unite a community of partners and supporters. By making a simple donation of $20 or more to our 100’s of Hearts Campaign, you are helping to empower the 100’s, thousands perhaps millions. 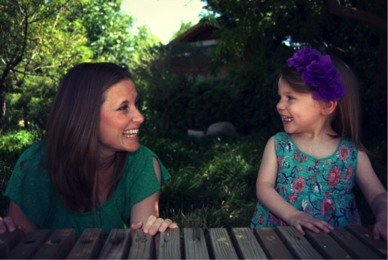 Through Education – “When we first learned about my daughter’s heart defect, the internet was a scary place to go for information.” – Mother to beautiful girl with Hypoplastic Left Heart Syndrome. Our Trusted Resources program will provide quality information to people when they need it, where they need it. Through Research – “My son is with us today beacause of life saving research.” – Mother of child who’s defect was detected through screening. Through promotion of research, as well as collaboration in new and existing projects, we recognize that research is key to improving outcomes. Pick one special heart to honor. Help us reach 100 hearts! I thought launching accounts in Facebook,Twitter, LinkedIn, and Instagram was quite an accomplishment for PCHA. PCHA just sent out its first official newsletter. Don’t miss out on any behind the scenes information, updates on our latest projects, and opportunities to volunteer or advocate. Click here to find our rudimentary sign-up form on Facebook, while we patiently wait for our website. We couldn’t make all of this happen without your generous support. PCHA is primarily funded by individual donations – by you. We are grateful to those of you who were founding donors, helping us get our feet off the ground in 2013! In order to reach our goals we need your help. Please consider donating to support our educational programming like Smart Patients, research partnerships with groups like the CDC, and advocacy efforts to bring continued success in Washington. Simply click the donate sign – it’s safe, quick and easy! Thank you for helping us to help you! 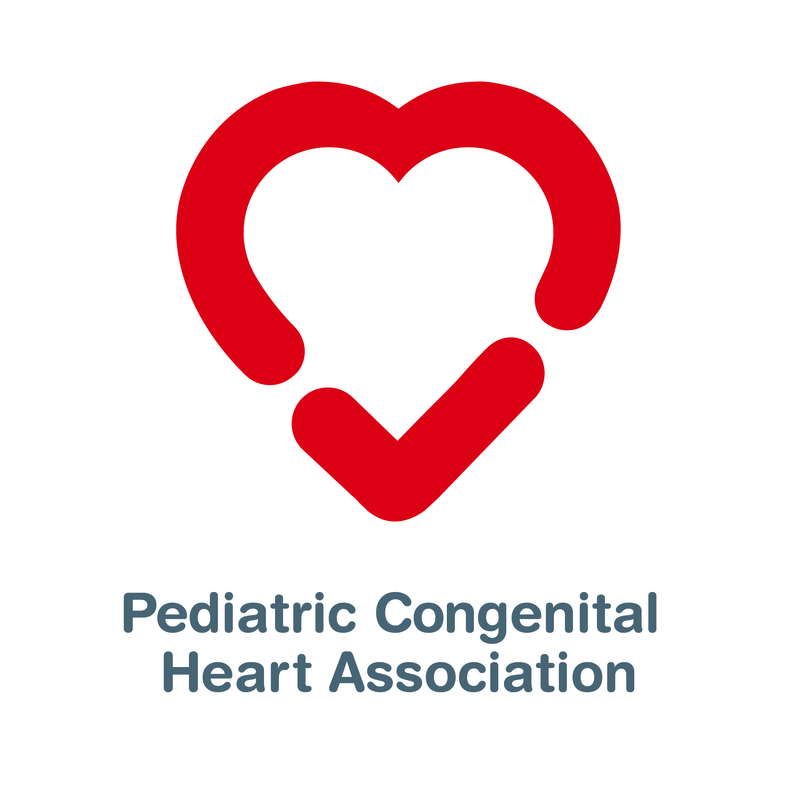 The Pediatric Congenital Heart Association is now social. Find us on Facebook, Twitter,LinkedIn, and Instagram. Don’t forget about our website! Find us, like us, share us. Share with us – tell us what you’ve been up to, why CHD education, advocacy or research matters to you. Find us, follow us! See what some of our organizational partners are up to, as well! In December of 2009, Stacey earned her title as “heart mom” when her unborn daughter was diagnosed with Hypoplastic Left Heart Syndrome at 18 weeks gestation. Since birth, Zoe’s undergone three open heart surgeries (the Norwood, hemi-Fontan and Fontan) and is living well in Phoenix, Arizona with her mom, dad (Caleb) and big sister (Emerson). Zoe continues to inspire her mom, who advocates on a wide-scale for improved outcomes in the field of pediatric cardiac medicine. While Zoe’s journey with her congenital heart defect has been challenging (which is always an understatement), her strength and courage remain a testament to our CHD communities’ resiliency and power. Together, we can make a positive impact for our children’s future. Today is your day, what will you do? A thought provoking and sweet call to action! Congenital heart defects are the most common birth defect. Period. Part of Conquering CHD means working to make sure that they don’t happen in the first place. Let’s support the CDC and the National Birth Defect Prevention Network’s efforts to prevent birth defects. Promote National Birth Defects Prevention Month all month long on Twitter! Follow NCBDDD director, Dr. Coleen Boyle (@DrBoyleCDC), who will share a fact each day during January to raise awareness about birth defects. Each daily fact will be marked by the hashtag: #1in33 (a reference to the prevalence of birth defects). Re-tweet the facts and add your own, using the hashtag #1in33. Post one of these buttons on your Web site, blog, or social networking site (e.g., Facebook page) to increase awareness of birth defects. View stories and photos of families affected by birth defects in CDC’s Flickr album. There several CHD stories!! The National Birth Defects Prevention Network (NBDPN) has educational and promotional materials available via their website. In 2013, the NBDPN Parents Advisory Group created a special public service announcement to raise awareness about birth defects, which was launched from www.endbirthdefects.org. The PSA is available for downloading. Feel free to use these materials to promote birth defects awareness and prevention. In June of 2006 my husband Tim and I found out that our family would be blessed with the gift of baby. As you can imagine we were excited and anxiously awaiting that first Dr.’s appointment to hear our new baby’s heartbeat. We had no idea if our baby was a boy or girl. Nor, that the heartbeat we heard at that appointment was coming from a heart that had a critical congenital heart defect. Rayna was born February 16, 2007. She was perfect, or so we thought. We took Rayna home and just thought she was a tiny little girl who tired easily and didn’t gain any weight. After many trips to the doctor we were reassured she was fine and I was a paranoid mom. 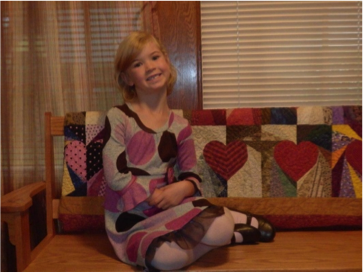 In the summer of 2010, Rayna was diagnosed with strep throat and the doctor heard a disturbing heart murmur. I thought, “Well, everyone has a heart murmur.” After some thought, we took her back 2 weeks later and requested that her heart be checked. Rayna’s little brother had a hole in his heart that we needed to check, and I had that “mom feeling” that something was not right. That appointment would become the beginning of our journey into the world of Congenital Heart Defects. Rayna had many appointments to determine what her defect was. In September of 2010 she underwent a sedated MRI and we were told she has a heart defect known as Total Anomalous Pulmonary Venous Return -TAPVR – and a very large ASD or hole in her heart. Her defect is usually fatal if not detected in the first few weeks of life but she was 4 ½ years old. We were told that this is unheard of and left the hospital wondering and questioning everything we did. At one of her first cardiology appointments I had a doctor take my hand and look me in the eye saying, “Mom you did not do anything wrong to cause this. By the time you heard her heartbeat for the first time, her heart already had this defect.” These words still echo in my heart. On October 17, 2011 we set out for the hospital and it was the longest ride of my life. From the backseat my beautiful girl called for me and as I turned around and our eyes locked her words got me through the day: “Mommy today is the day they are going to fix my heart and I am going to feel all better.” We turned our beautiful girl over to an amazing team that afternoon. As they wheeled her away, the most wonderful nurse looked at my husband and I and said to us “I will protect as if she were my own.” 7 ½ hours later she kept that promise and we saw our little girl with tubes, needles and hoses everywhere, but she was out and doing well. The relief in my heart and mind was indescribable. Rayna is now 6. She is stronger inside and out and continues to be our driving force to find the beauty in this world of heart defects and doctors appointments. As each appointment nears we still wait with excitement to hear her heartbeat, just like we did the first time. Rayna’s heart is mended but we are forever changed. The sound of that heartbeat is priceless. So unexpectedly and deeply affected by the loss of Nolan. I had not met him, or his parents, merely an onlooker to his journey. Yet, my heart is breaking for his family. For all those who have lost a child to CHD. On January 5, 2014, 2-year-old Holden Flynn (The Tin Man) had a heart attack while waiting for his brand new heart, and he lost his battle with congenital heart disease. Just before Christmas we had filmed Holden and his parents in the hospital for “Arnold Palmer Saves Christmas” while they waited for his new heart, and we had a little bit of left over footage. We made a little memorial for our friends the Flynn’s, Trey and Nicole. In our time with them over the years, I’ve seen moments of the epitome of what it is to be a father and a mother — they loved their son. So much. And they never gave up hope for him. They laid down their lives for Holden. That’s what a parent is. Thank you Trey and Nicole for letting me catch a glimpse of that beauty. It seems like every month has become symbolic for an issue, or two or three. However, I saw a promo touting this month as JanYOUary and it made me stop and think. When it comes to advocating for research, your child’s care, or even your own health, it all comes down to YOU. Your story is what makes the difference. So take time this month to focus on you. Dr. Oz even has a step-by-step plan for the month. More specific to CHD, Mended Little Hearts offers tips for caregivers and managing stress that focus on taking care of you. We appreciate you (although Volunteer Appreciation Month is in April,) and, this month, we Celebrate YOU!